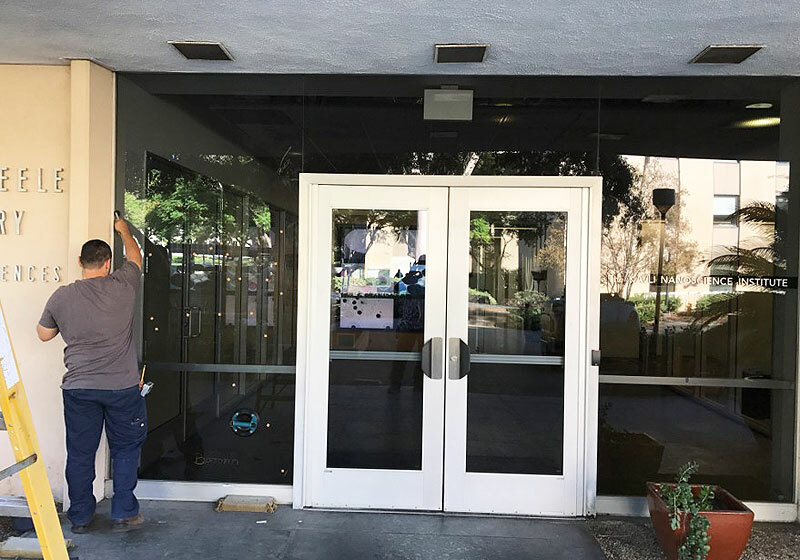 We installed this glass entrance in Pasadena for the California Institute of Technology (CalTech). Our experienced technicians precisely installed tinted glass and glass doors to fit the building’s exact measurements and functional needs. 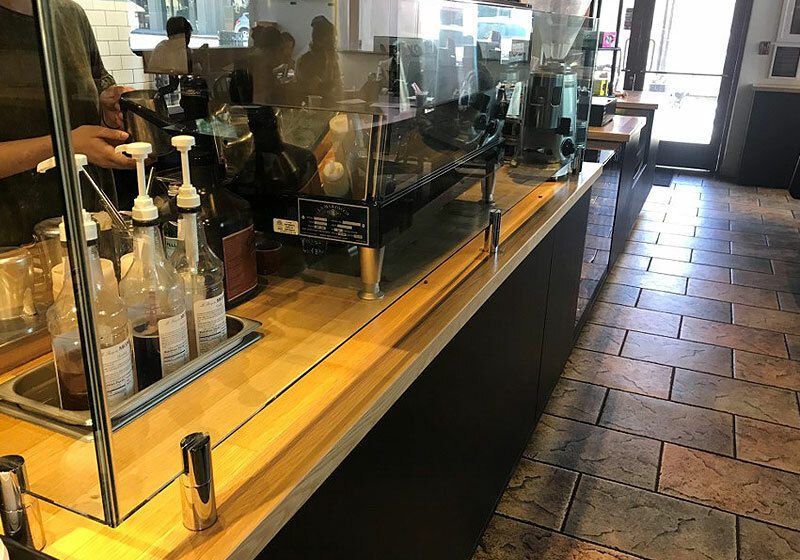 We custom crafted this sneeze guard for Pasadena’s Jameson Brown Coffee Shop. Our master glaziers can cut glass to any size and shape, and always use the industry’s best practices for glass fabrication and installation. 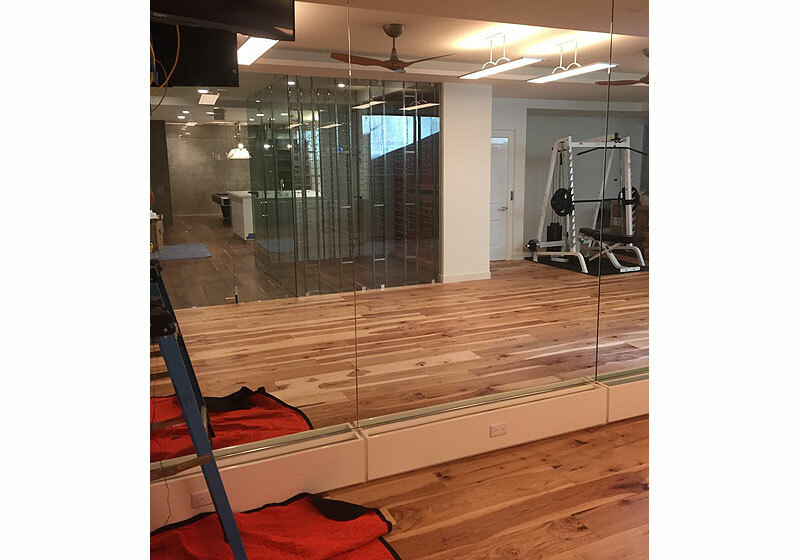 This wall mounted gym mirror in Pasadena was installed at a private residence by our experienced technicians. The mirrors make the space appear brighter and more spacious while providing an unimpeded view of the room. 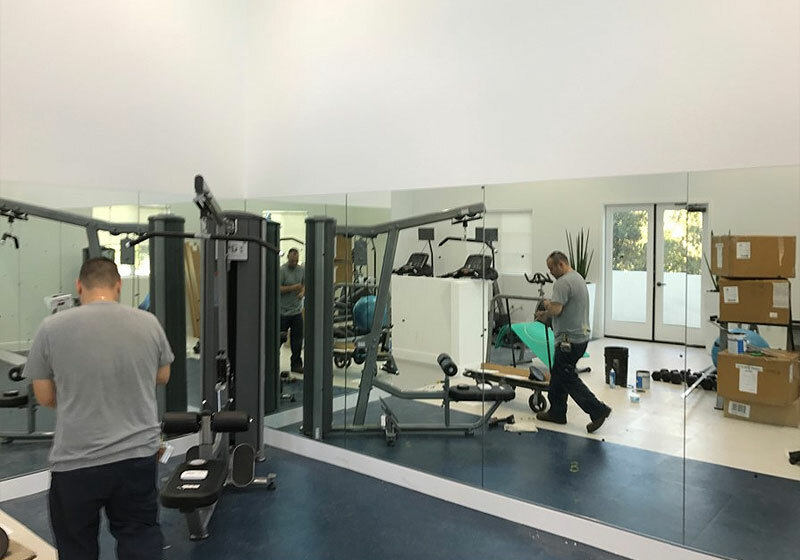 The Glass House installed this wall mounted gym mirror in San Marino. 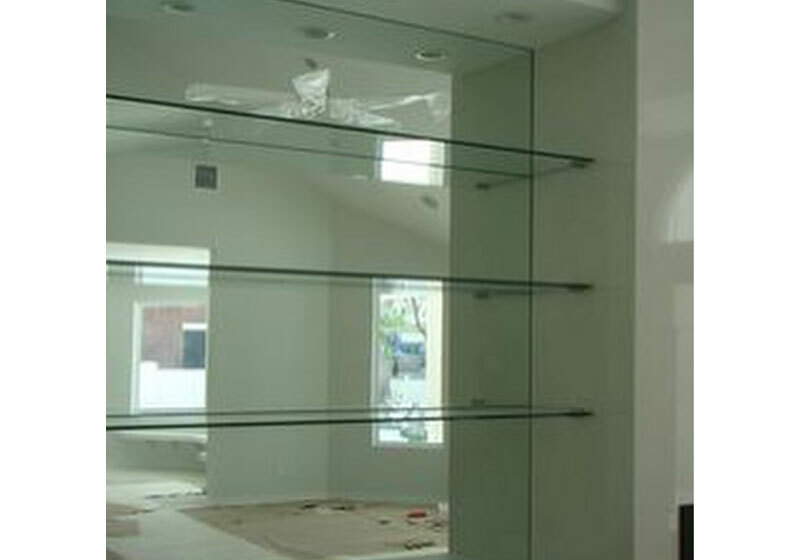 We welcome mirror projects of all sizes, and can replace broken, chipped, and desilvering mirrors at cost-effective rates throughout Pasadena, Altadena, Arcadia, and nearby cities. 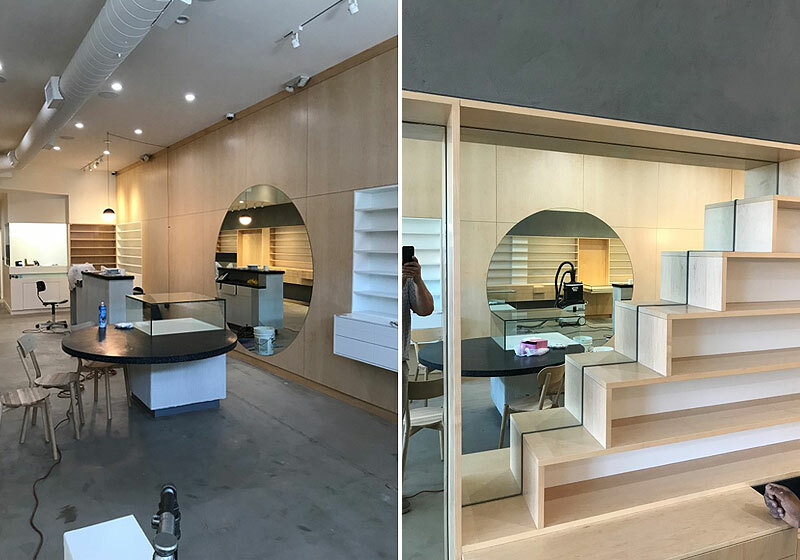 This custom mirror in Beverly Hills was designed to feature products in an eyeglass shop on Fairfax Avenue. Our expert glaziers can craft mirrors off all shapes and sizes, whether you prefer framed or frameless mirrors, sandblasted or etched glass, or a flat polish finish. 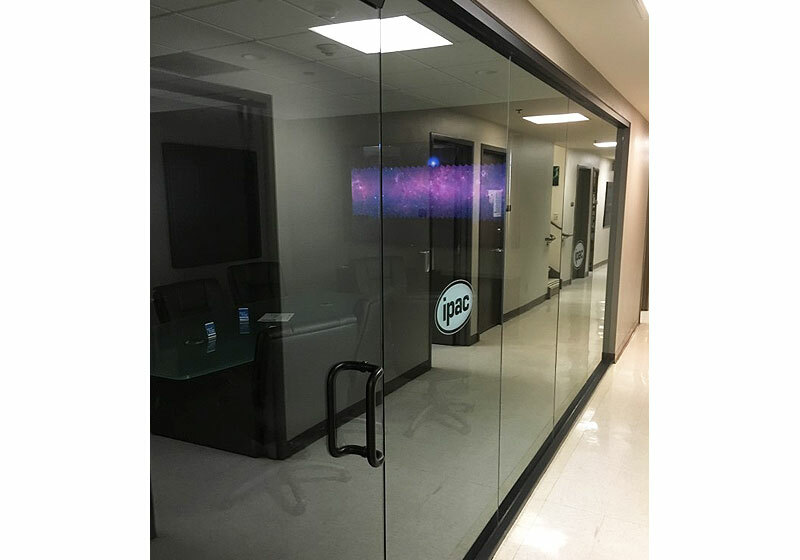 This conference room at the California Institute of Technology (CalTech) in Pasadena received tinted glass walls and a glass swinging door courtesy of the Glass House. We offer an extensive selection of high quality clear, tinted, and decorative glass that can be hand-cut and polished according to your exact specifications. 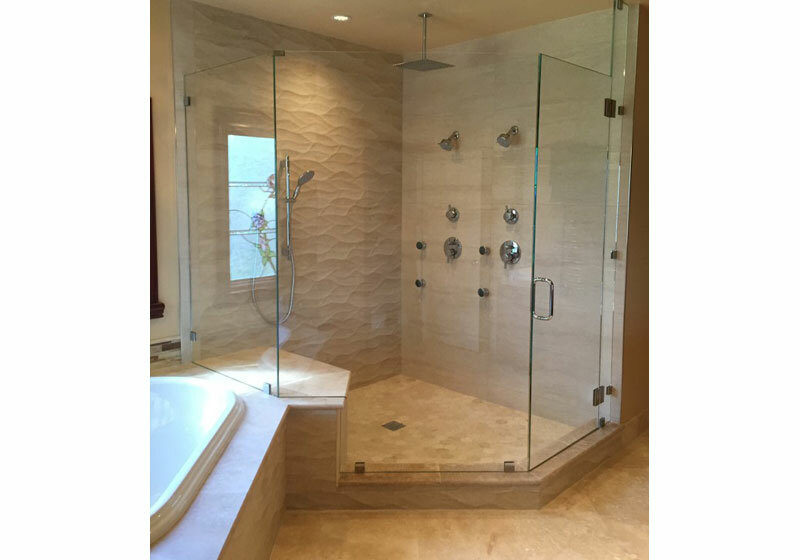 This custom shower enclosure in La Cañada features four glass panels and a swinging door. It was built with a frameless design, high quality glass, and a long-lasting silicone sealant to protect against leaks. A glass jewelry box is a great way to display pieces while keeping them clean and safe. 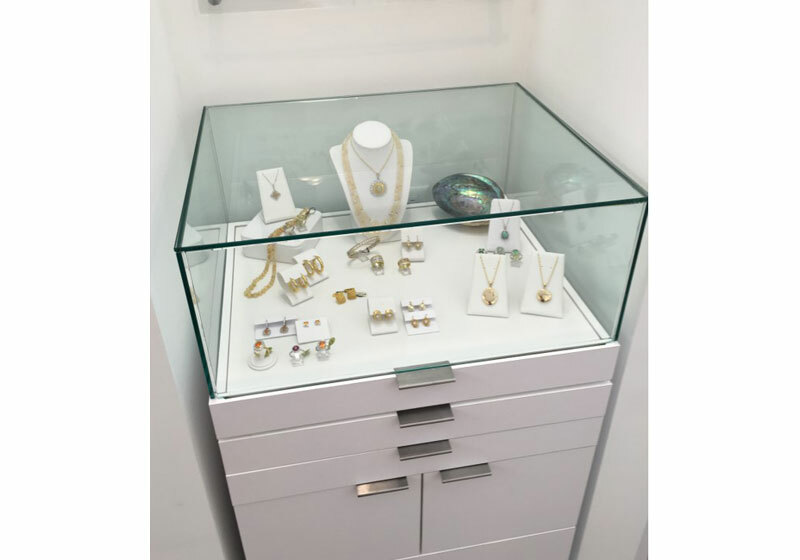 This custom glass jewelry case at a San Marino shop features clear glass, a sliding display shelf, and sliding drawers. 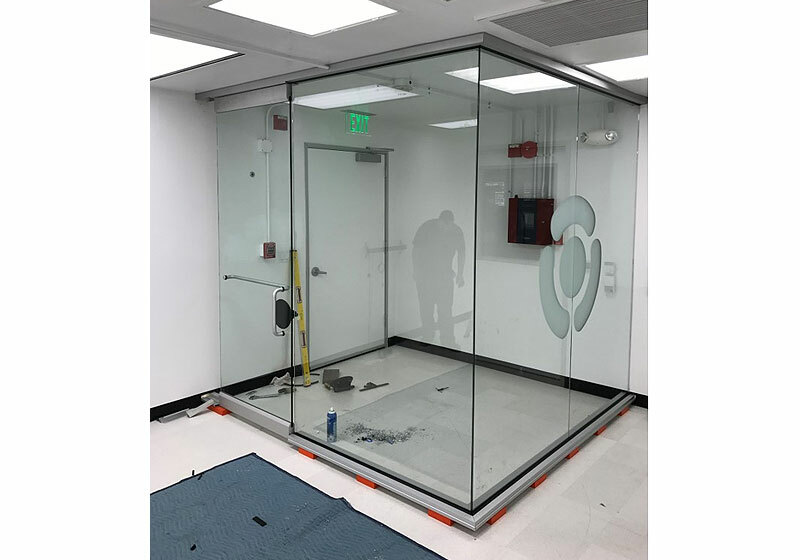 The Glass House created and installed this glass clean room in Pasadena, and sandblasted the client’s logo on the right side panel. Our master glazier’s have over 40 years of experience each, and can custom make glass fabrications for a wide range of commercial applications. Our experienced team custom-crafted and installed these floating shelves in Pasadena, which were designed to provide a clean and sleek display area. We always take precise measurements, then cut, shape, and polish each piece of glass by hand at our Pasadena glass shop. 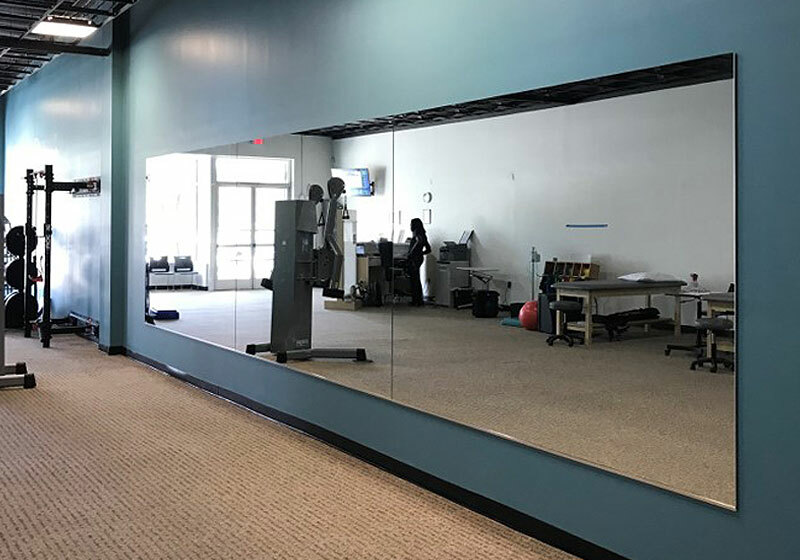 The Glass House installed this wall mirror in Pasadena for the Barre area at a commercial gym. We are experts at building and installing floor-to-ceiling mirrors, gym mirrors, and wall mirrors of all shapes and sizes. A glass shower enclosure lets in natural light and helps a room appear larger. 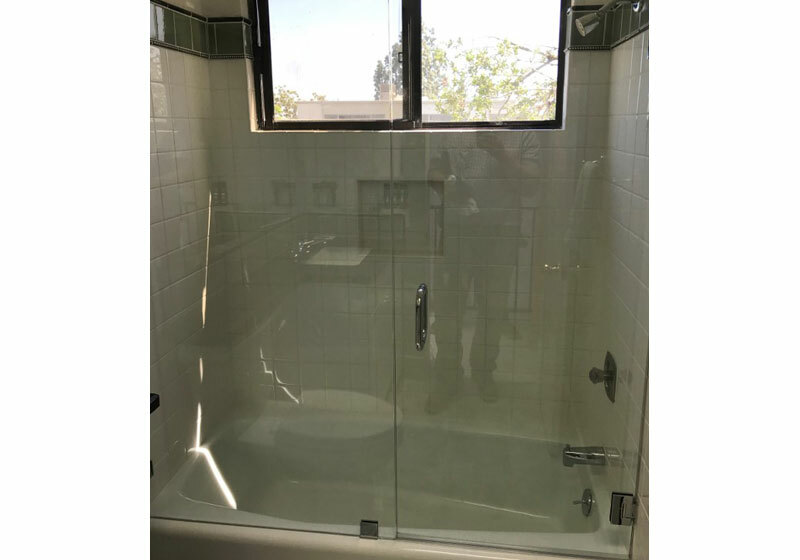 We designed, constructed, and installed these custom glass shower doors for a Pasadena home to complement the bathroom’s design and layout. Martin had to make two trips to remove our shower glass walls & door and then reinstall it after some tile repair was done. So many companies wouldn't take the time to provide that kind of service. But he worked us into his schedule quickly and did a great job. Everything fit back in place. He cleaned the old calcium watermarks and now it looks like we have a brand new shower! Thanks!